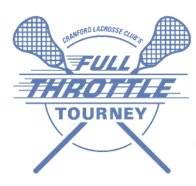 Competitive lacrosse, awesome venues and a fun experience together! Guaranteed 3 games for each team. Certified officials and grade based brackets. 5-6 full fields in one location. All players must be members of US Lacrosse. Onsite parking, indoor restrooms, onsite concessions and vendors, food trucks. Family-friendly scheduling: We schedule your games in a morning or afternoon block.